A gentle undulating single track ride with rocky sections, not technical, and smooth winding downhill. The rocky sections could elevate the challenge level to a light Blue ride. Traveling from Truckee head south on Brockway Rd. and turn right at the signaled intersection of Palisades Dr. (7/11 Market on the corner). Stay on Palisades Dr. and it becomes Ponderosa Dr. Turn right on Silver Fir Dr., left on Thelin Dr. and begin looking on the right for an open Forest Service gate for road #06 – enter here. Drive .3 miles to a large unpaved parking area which is the trailhead. 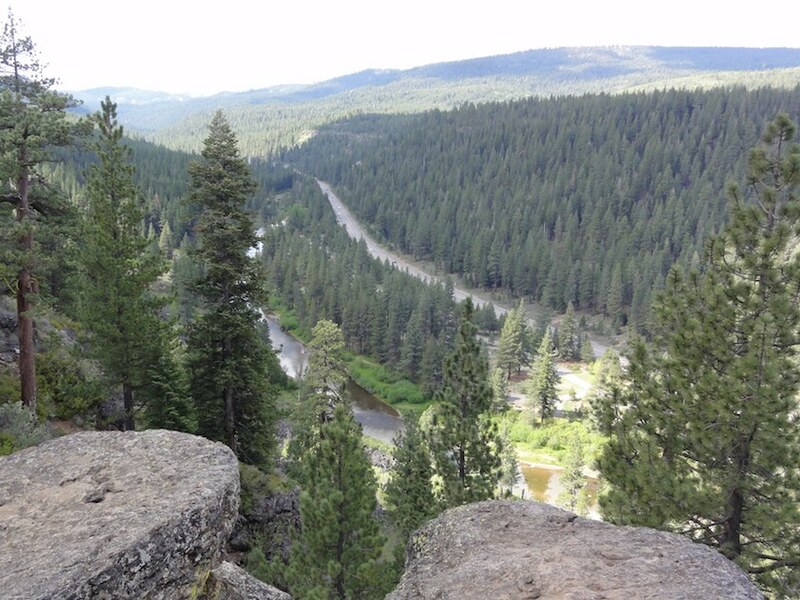 This well signed single track ride travels along the Sawtooth Ridge high above and paralleling the Truckee River and Hwy 89. There are two vista points where you are on the edge of the ridge looking straight down on the river and its canyon. The second vista point is just three miles along the ride and there is a sign indicating the route which is a short loop and well worth the view. This first leg of the loop is a gentle climb with about 50% of the trail a rock garden. It’s not technical, there are no rock drop offs or steps, but you should have the mountain bike riding skills to be comfortable riding a rock garden: up and over, over and down, and around rocky sections; and possibly getting off the saddle at times. At 4.61 miles you cross road #06 to begin the second leg of the loop which is a fun downhill on smooth serpentine single track (like a slalom course). About 5% of this leg has some rocky sections, but the remainder is smooth single track on soil, pine needles or small crushed rock. 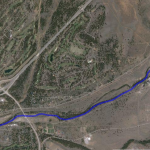 At 8.32 miles the single track connects to road #06 and you turn right and ride 1.17 miles to your starting point.